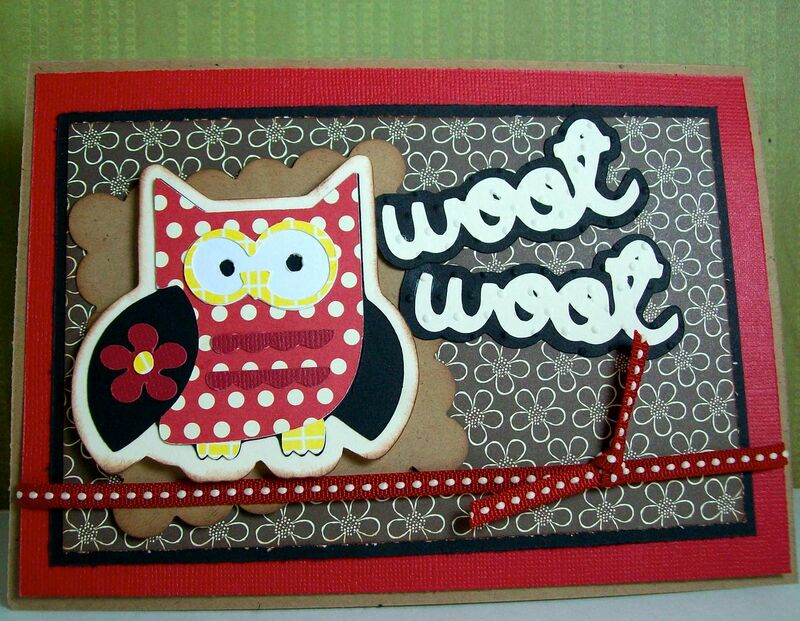 Obsessed with Scrapbooking: Woot Woot and Meow, Meow! Woot Woot and Meow, Meow! I made these two cards for my post on Holidays with the Cricut using the Cricut Paisley cartridge. You can check them out HERE! I am not a cat person, but this is the main reason why I want the paisley cart. She's just so cute. 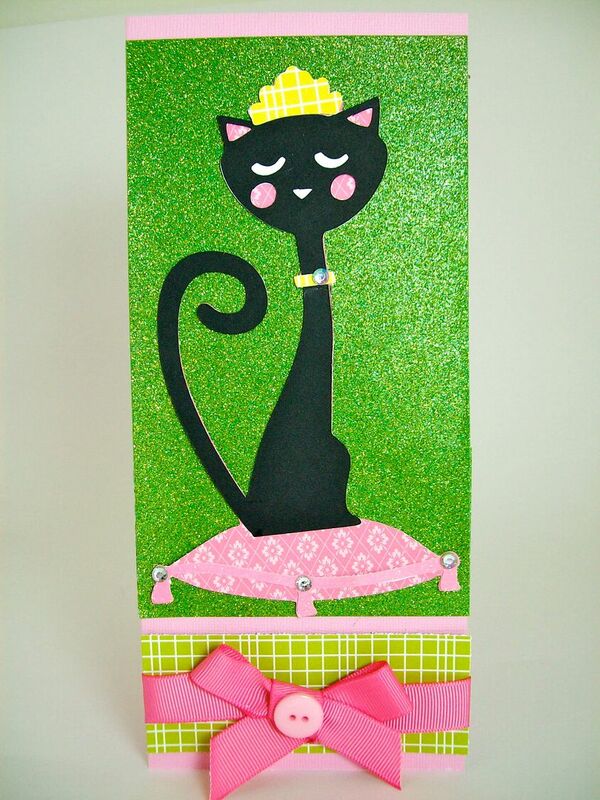 Oh I just LOVE you cat card!!! Those are great! I am thinking about getting the paper pups cartridge as I show dogs in AKC shows and I think doing some cute smaller cards like this to hang on our trophies would be great! Thanks for the idea! Love what you did with these cards!! Your papers are just too cute, too!! Thank you for sharing!! Well it just doesn't get much cuter than that! Lovin' that owl! Both of those cards are very cute. Both cards are colorful good eye for color. Love it! I've really enjoyed my stay -- this time. Of course, I'm following you; how could I not?!!! May I ask, how long does it take you to get through all your comments? About forever? LOL! Forgot to mention, I love these cards and I love everything I've seen while I was here! I'm glad I found your blog!